I went to a career networking event on Tuesday and have some great tips if you're interested in working in fashion or journalism. I was invited through my blog but you could apply as a student to go as it was hosted by Elevation Networks, a charity that gives people a hand in getting on the career ladder and meeting members of top, relevant organisations. I'm not aiming to be a journalist but I would like to work in publishing and marketing, and the event was at NatMag's HQ so I had to check it out! Among the speakers were Sir Terry Mansfield, Doreen Adusei MBE of Fashionworks (an agency that also helps foster talent in the fashion industry), and Louise Court, editor of Cosmopolitan magazine. Also, Richard Bradbury, the former Chief Exec. of River Island, was the guest speaker, so it seemed fateful that I should go as I work there! I always turn down press events as they're in London but this was a careers event, so nothing promotional, just all useful. I hope you find these tips helpful if you're hoping to work in the industry, as I know many of you are. So I hopped on the train to London after my Tuesday lectures and almost nearly got scammed as an innocent tourist-type when a random man behind me in the tube ticket queue offered me his day ticket for a few pounds as he'd bought one for the wrong zones by mistake. Just before I went through the barriers I thought, 'oh no, this could just be a fake ticket and I'm on The Real Hustle or something!' but it was a real ticket, which shows I am very naive or nicely trustworthy, haha! The reception of the building was full of keen looking students, quite obvious that they were all into fashion, some dressed up to the nines in huge heels. The event took a while to get started as the waiting room was too small to fit every attendee in, of which there were only about 50! I was expecting a large lecture theatre but the venue was a very small room, and I was sat three rows from the front, with only four chairs in each row. You may have seen my internship guide from some placements I had last year, and I noted a girl behind me in the queue have a conversation on the phone that went something like, 'Well I'm meant to be doing a six month internship for *** company but I've quit after two months, I thought: I'm not doing your admin work anymore, I want to be a fashion editor, not an office worker.' That's not the attitude to have, as many of the speakers said! After some of the members of Elevation Networks introduced the event (and we had to do a cringy task where you found someone in the room who you had something in common with), Sir Terry Mansfield, the former president of the National Magazine Company (Cosmopolitan, Company, Harpers, etc), gave a talk. He stressed the importance of being multiskilled, and how photography, editing and admin (note to the girl mentioned above!) skills are crucial to a role in media, and your CV should reflect that. At NatMag, they look for people who can translate their creativity into skills they can bring to the workplace, so on your CV, rather than stating you're a team player or you have an eye for style, give evidence of this by naming times you worked in a group and projects you have created. Sir Terry said that design is the centre of technology and the gravity of the fashion world, and that without talent and style, we would "just have buildings, chairs, and a bit of technology", which I think is a great quote. Sometimes it's hard to show a degree involving textiles lives up to other degrees, despite mine being a Bachelors of Science. Then Louise Court was introduced, and she gave some fabulously friendly tips, and further confirmed in everyone's mind that working on a fashion magazine would be an amazing job. And one of the first things she said was about interns who refused to do work like copying up a transcript for a meeting because it was 'below' them or because they 'had a degree', which again made me think of that phone conversation I overheard when queueing at the entrance! You must realise there is so much to learn and be humble that you have the internship in the first place. The best view of the industry is from the base level of it. I don't know why people would complain as I felt extremely lucky and excited to be interning at fashion companies, even if I was just ironing or addressing envelopes! And I'm not under the impression that internships are readily available or easy to get either; surely you're very lucky if you are getting experience like that. I had to pay to stay and live in London while doing my voluntary placements for over a month- that's how happy I felt to be there! If you already live in/near London and are lucky enough to score an internship, be grateful! Anyway, Louise also spoke a little about Cosmo on Campus, the free mag they're distributing around Unis. A girl in front of me nodded her head when she mentioned it, and Louise asked her what she thought! If I was put on the spot like that, my mind would have probably gone blank, but the girl gave a great answer and Louise was really keen to get the feedback. They know that the market is so segmented nowadays and a special mag targeting Uni students is a great idea, although some of the tips like 'Don't use Wikipedia as a reference in essays' are hopefully known by all already! And apparently they got the idea for Cosmo on Campus from Korean Cosmo at a global Cosmopolitan event, how cool! Louise discussed how blogs were relevant to magazines too and that the staff write blogs now, which made me smile! The next speaker was from T.M.Lewin (I'm afraid the lady wasn't in the programme so I don't know her name!) and she was the best public speaker ever. T.M.Lewin is a smart clothing brand selling shirts and suits, so the talk was about making an impression at an interview. The lady herself was a great example of her point as she was dressed in a simple shirt and skirt suit, with her hair tied back and minimal makeup, yet she really stood out because her personality shone right through. She stressed how you should be making the impression at an interview, not your outfit, and said how we would have all thought 'ooh check her heels, check her earrings' if she'd rocked up in designer labels, but at that moment we were simply concentrating on her. She said it was better to eliminate negativity, such as accessories or shoes that could be a bit distracting or brash, rather than try to add loads of quirky things and go a bit wrong. I felt most of us at the event cringe a little as we must have all put a fair bit of thought into our outfits that morning, and many people had flashy bags and lots of makeup. More tips came from Doreen Adusei of Fashionworks, who showed there are always ways to foster your ambitions, and Nanette Gibb, the head of human resources (recruitment!) at NatMag. She spoke about getting your CV into shape by highlighting your USP (unique selling point)- we all have one! If you're at Uni, utilise your careers centre as I know the one at Manchester is really great. She gave four other points for your CV; to match what you list in your CV with the requirements of the job role, to do your homework on the company you're applying to and know where you'd fit in, to not be afraid to be creative with your application, especially if you're applying for a design or styling role (submit work or make a magazine cover mock up), and ensure your CV is transparent, with no sweeping statements and inaccurate spelling or grammar. Then Richard Bradbury chatted about his time at River Island and how the fashion industry is so changeable and even volatile, and that people buy certain magazines because they believe in the brand. You must be aware of external market changes for each industry as they can make an impact, so wise up on current affairs when you go for an interview, or better yet, be constantly in the know! Hi dolls! 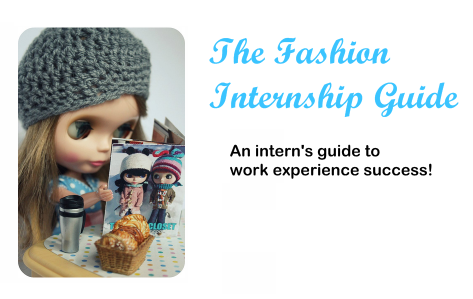 I hope you liked Part One of my internship guide and it was clear to read! I don't want to confuse anyone or bombard you with stuff, and if you asked a question I'll address it in a future post or reply to you personally! I feel like I've worked loads recently as the sale was in full swing and ended up probably spending more then I earned anyway! I always buy things from my wish lists rather than impulsing and it feels like I haven't bought any new clothes in ages! 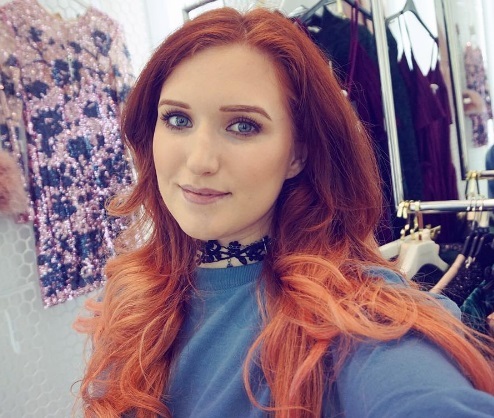 From watching hauls, I can see how other girls will pick up basics and go on sprees, but everything I buy tends to have huge purpose or is quite poignant so I always seem to have a full wardrobe but nothing to wear! Also everything I'm buying right now is reserved to be worn in the Autumn as there's no point buying into Spring/Summer trends right now. The new Elle Collections isn't as good as the last but has given me lots of ideas and I'm going through all the catwalk pics saving my favourites. Today I had a little sort out of my room but I'm feeling really weighed down by the stuff I like but don't need anymore. My sister and I want to do a carboot sale or something; maybe I should do a flash sale on here? Everything £1? Coincidentally, the Guardian ran a front page article in the Work section today called Fashion Victims, debating whether interns should be paid, and if not, are they being exploited for their labour? You can read the article here, what do you think? I believe if a company expects you to become a long term member of the team with your own tasks, rather than working with and helping out existing employees, then you have a proper role rather than the role of a intern, and should be an employee too. But if you love the industry, the pleasure of the opportunity will well outweigh any stresses on your part so you won't walk away feeling like you were taken advantage of. Anyway, hope you enjoy the second part to this guide! Good luck! The first hurdle is of course: how are you going to get your internship? As I said before, finding an internship to apply for will already demonstrate your sourcing skills and show that you truly like the company because you have searched them out. Every unique company is looking for their ideal person, and every aspiring intern will be looking for the placement to suit them best, so I cannot point you towards vacancies or provide lists of hiring companies. If I can find them, you can too! The perils of being the oldest child means I've always had to find things out for myself! First think about what sort of placement would suit you and when you have the time to commit to one. Are you doing a year in industry as part of your degree? Are you still in school? Do you have the whole summer holidays? Have you just graduated? You may want an internship with a view of being hired by the company, or just a two week taster of the place. Most companies will tell you on their website if they offer placements in their careers section, so first make a list of the top places you'd LOVE to work at. These will most likely be scratching the surface of the fashion industry if they're well known brands, shops and designers. Check their sites and see what their work experience policies are. If they have established them, their length and requirements may or may not suit you. Some places will only offer placements for a whole year and you have to be studying, some will only offer government-assessed work experience where you can go if you're 16. Keep thinking outside the box and flick through magazines to be reminded of brands and labels out there. If you don't live near London, you might be surprised that some companies have head offices situated all around the country. Check out the top businesses in your town, you'll usually find a list through a search engine. There are sites out there where companies list their internship vacancies, and they're extremely useful as they have to fill in all the questions you want to ask like how long their minimum requirement of working is and if they offer any payments. These sites can be easily found by searching online and it's essential to keep checking them daily. Also think of your friends and family, friends of family, and the family of friends. Someone may know someone who works in a relevant company, or if you're looking outside your home town, they may have a room to rent. Start looking outside the box and think of the other companies that make up the fashion industry. Check out Drapers or Women's Wear Daily to have a vast knowledge of industry players. If you want to work in the industry, these are things you must know already. I found one of my placements first through researching my dream places, and the second through a site listing vacancies. As soon as possible!! Some of the more well known publications are flooded with applicants and are booked a year in advance. I found mine for May in February, but many places I applied to were already fully booked. It's still worth applying at short notice though because people may drop out or they hire and recruit quickly. Consider the day and time you send off your application too. If sent on Saturday or Sunday, they will be part of the flood of emails viewed on a Monday morning, and the employer may not be interested in hiring interns when they have the height of their normal tasks to deal with. Especially if you are searching online, most require online applications. Some companies that must receive masses of applicants may set out strict rules for application, such as certain information needed and certain presentation of your CV. These are the first test of your ability to follow direction, so make absolutely sure you satisfy their requirements. I would always send a CV with a covering letter, as there you can really tell them why you especially want to work for their company. Make sure your email address isn't sexy_gurrrl1988@hotmail.com, and make sure your spam filter isn't blocking replies. If emailing, send the email to yourself first and reread and then reread it again. Get someone else to read it too. The receiver may be viewing it differently and you might have made a fatal error in addressing the right company. Take your time and don't apply for twenty in one day, as guaranteed you'll slip up somewhere. In the subject line of the email, state it is an internship application and put the dates from and to when you are available. At one of my placements, the lady who employed me said sometimes people will cancel their spot on short notice so they must quickly look back at previous applicants. If your availability is clear, they will make a beeline for your email. Take your CV and covering letter to the careers adviser of your school/college/university, or have an educated or experienced friend or colleague read over yours. They will not only be able to spot mistakes or errors in them, but will also tell you things that aren't clear and ways to improve. I took my CV to the careers advisory department of my University and they were amazingly helpful. One of the tips the careers service gave me was to backup your experiences will your skills, and your skills with your experiences. For example, don't write a personal profile saying 'I'm hard-working, creative, bright and a team player', because everyone writes those key words that they think employers want to hear. You should be writing 'I'm hard-working because ...' or 'I showed hard work through...'. Give examples that demonstrate your skills and talents to prove you have had unique opportunities and that you actually are what you say you are! Don't write 'My responsibilities at my Saturday retail job included working on the till, replenishing stock, and tidying,' you should be writing 'My responsibilities included working on the till, showing my mature attitude to handling money and my confidence in talking to customers, etc' for example. You must show the reader why exactly you are organised, and what skills are needed when putting out stock. Hopefully you will really want to work for the company that you are applying to, if not, what's the point? Make sure you state in your email or covering letter what you like about the company, how working there could benefit you, and what you could bring to the company because you know about/admire them so much. If you owned a company, you'd be much more inclined to employ someone who really knew what it was all about and had a passion for making it better and contributing to it, rather than someone who was just keen to work anywhere. Even when people email me things for this blog, my name is right by my email address so if it's just a press release with 'Dear Ms' or not even a hi, I have no desire to read it. But if someone says 'Hi Selina, I like your blog!' then I'm more keen to read the rest of it. If people actually show they've read my blog, like 'Hi Selina, I like your blog because .... Therefore I think you might want to know about....' then I have more of a responsibility and a want to consider what they've emailed about. Put yourself in the employer's position and consider if you would want to hire yourself, and who you would apply before you. Always address the email recipient. Hopefully the fashion industry is a bit more personal and fun, so you don't have to go as far as ending your emails with kisses, but remember you are emailing a real person who was once in your shoes. You don't need to be overly formal and matter-of-fact, especially if it's a place that encourages personality, such as a magazine. Tailor your approach to the formality of the company. Keep things short and sweet, with quality points rather than a high quantity. A magazine may not wish to see the results of every exam you've ever taken, whereas a fashion business agency might be more interested. You should not be sending the same CV and covering letter to each place and just inserting different names, it should always be tweaked. As you improve your CV, make sure relevant things jump off the page and you don't say things that are too obvious. If you've been a sales assistant in a shop, generally it's quite obvious what tasks had to do, so don't take up page space with huge lists. As I'm working in a high-street store at the moment, for the past few weeks loads of teens have been coming in asking about jobs. This is a little off topic but there are so many people who run in (like actually jog in looking really rushed) eating food (yeah, in a clothes shop?! why would you do that anyway! ), with some rolled up CVs already in their hand and say 'do you have any vacancies? ', and they're not doing themselves any favours! By being like that, they're showing that they're asking in just about every shop and will apply for any vacancy anywhere, and if you don't have any then they'll quickly go to the shop next door. Most places only take online applications anyway, but I thought a good approach was a girl who came nicely dressed to the counter with some CVs in her bag in plastic wallets, and said 'Could I give you a CV to keep just encase any job openings become available?'. This showed that she was interested in the store especially and was keen to work there in the coming future, rather than looking for any job, anywhere at that time. Well, maybe she was, but that was a nice approach. What is I have little/no experiences to put in my CV? If you believe you'd be good in the fashion industry, you must already have a passion for it. If you've never worked before, you should try getting involved in school/uni newspapers or local fashion charity events or try making a website. There were people on my course at Uni who didn't even buy magazines, and if you're serious about working in the fashion industry, you have to respect that you will get hired only if you have something to offer and if you are an asset to the company. Sure your Mom and friends might think you're great, but what can you offer an employer over everyone else? What can you do to really move the fashion industry, as fashion is a continuously evolving and adapting sector? Imagine you already have a job in fashion. You'd have to keep up with fashion news and the news in general. Start reading the business pages of the newspaper and watching the business news. A lecturer once told my class this and said it was on at 5.30am and pm. One exchange student didn't understand too well and thought it was compulsory to watch the 5.30am news! There are so many books out there on fashion and business and media that you can read, and there are so many blogs too! Social media is huge and if you work in the fashion industry, you must be aware of everything, as you essentially are making the news. If you are part of the fashion industry, you are the news! You can use your CV to demonstrate how you've been to fashion fairs and art exhibitions, how you have an extensive library of relevant and cult fashion books, how you can mention your favourite designer and show how you've studied their history, know all their muses, and what their high impact collections were. This all seems like a lot but if you have the drive, you must remember you will need to have this knowledge anyway for your job. Fashionista.com is a good place to start to really familiarise yourself with the goings on of the fashion world. I'll talk about interviews in another posts, but for one of my placements in the interview I was asked what magazines I read, and I said my favourites and said how I'm really not a fan of UK Vogue because I don't feel it's aimed at people like me, i.e. students who have no interest in going to a spa, etc. The interviewer said that was a good thing to hear because I can view magazines in the way of considering their target audience, I didn't just give off a reel of titles that I liked with no explanation. Also show things that you have done that may not be aimed towards fashion, but you can show how you have had enthusiasm and drive in other areas and that you are now keen to direct them towards a job in fashion. Like I said above, for all the experiences and qualifications that you state, you must put why it's relevant. Even if you've done a course in learning Swahili, you can say how it shows you have drive to complete tasks you begin, and could bring your dedication to your internship. For every point you write about yourself, you should follow it with a statement saying either how you demonstrated it or what skill it required, and then follow that with a statement saying how it can be used at an internship with their company. If you have no experience, hobbies or plans for the summer, volunteer! Volunteer in a charity shop to get some retail experience, volunteer with children or people with disabilities or older people or animals to show you are practical and responsible, and you are active and spend your time productively. I read a really funny article yesterday about a guy who had no joy finding a job after being a carer for years, so he stood by a main road for hours in the rain with a sign saying 'Please give me a job!'. A businessman stopped and drove him to his company to give him an interview, saying he was impressed that he was being active and determined! He said, "I thought if someone could stand there in that deluge - and it was absolutely torrential rain - then they must be determined to find a job. My attitude was the he would be an asset to any company." You need to be that determined! What if I don't hear anything from my application? Many places will not send you an email saying you were unsuccessful, so you can't count on any application. Keep researching your options and expanding your application genre, and keep carefully applying. Don't assume you have any place, even if they offer you an interview or say they are considering you. If you don't get it in the end, you will be back to square one with no options on the cards. When talking to the lady who gave me the placement at the national newspaper fashion desk, she said she did get loads and loads of applications and it was a bit annoying if people emailed again a few days later saying 'did you get my email?????'. You must respect that the people you are applying to have jobs and tasks that need to be fulfilled over addressing emails from internship applicants, and not be mad or disheartened if you don't get acknowledged. My feelings were that if I applied and didn't hear anything, I didn't get the placement. If it was a more formal opening where they were definitely recruiting people for a certain place, it might be worth inquiring if they received your application OK in a few weeks time, but if the placement opening is ongoing and quite a big company where many people will apply, you should apply elsewhere or reconsider your application if you really love the place. Show your CV and covering letter to different people, get more advice, get more experience. Change your approach or time of day that you email. Just leave it at least two-three weeks before inquiring again, as my placements took at least a week to initially reply to my applications. Don't be disheartened as your job is just round the corner and places will be looking for their ideal person, maybe you just aren't it at this time. There are so many people in your race that you can't dwell on each application, just keep going and you will be matched with your fateful placement soon enough! I hope that was useful! As always, I'd be happy to answer any questions! Please keep in mind that you have to hunt out your own internship, but if you're stuck on something or if you are wondering about something, drop a comment below. Despite not being able to blog during the internship and work experience I did in May and June, I've referred to them quite a bit. I don't get hundreds of emails from readers but often I'm asked about the course I do at Uni and about working in fashion. I study Management and Marketing of Textiles but it's a BSc (Bachelors of Science) instead of a BA degree (Bachelors of Arts). Therefore I don't really study fashion, and most of my modules hardly refer to it at all. Maybe because it's part of the Materials school and most degrees are materials science, engineering or medical based, but Manchester seems less keen to have a true fashion arts subject on the bill. Other textiles courses have design based modules, but of the four offered, mine definitely doesn't. When I say I study textiles and people assume I make clothes, they are very wrong! I just had a look at the Manchester site and now they offer Management and Marketing of Fashion Textiles, so maybe some modules have changed. Even so, the main thing readers really ask me is about whether to study fashion and how to decide if you want a job in the industry and what's the best thing to do. Many readers will be bloggers and I know many want to get a job in fashion. I haven't even finished my degree so I cannot advise on whether doing a degree and working in fashion is the way to go, but I have interned, and it seems it's a hugely valuable stepping stone into hopefully the career you want, whether that's in fashion or not. The hot topic in the news right now is that there are over 50 people applying for each graduate job, and it's obvious that just a degree to your name will not cut it for employers. I really wanted to share my thoughts and tips on interning as they're so popular today, especially in fashion. Shows like The Hills and Running in Heels have demonstrated that internships get your foot on the career ladder and give you access to events and features, while fictional films and shows like The Devil Wears Prada, SATC and Ugly Betty have glamourised the fashion industry, making it the most attractive and exciting place to be. But it worries me that so many people are influenced into thinking it would be sooo fabulous to work in fashion, or usually at a fashion magazine. It's like the go-to career for some girls and guys who aren't pulled in another direction but really like shopping, or feel it brings fame, fortune and fun. I've created a guide to all things concerned with interning, from why you should and shouldn't intern, how you organise an internship, how to prepare for an interview, how to prepare if you get the role, and how to survive the experience and dazzle your employers. It will hopefully give tips for all interns and people taking up any work experience placement, and as I was an intern, I can show the truth! I've read many sources around the subject and most information comes from employers or existing interns. As I completed my internships, I can give practical advice from a normal point of view. It's a chance to share all the things I found out while being right in the hub of the fashion industry so you may find it useful and interesting even if you're not thinking about a career in fashion! To make a few things clear though, I'm not going to say exactly where I did my work experience as firstly, I'm not officially affiliated with the places so it's not fair for me to openly share things about them or associate myself with them now, and secondly, they would get loads of applications from people who are reading this with an intention of finding an internship, and it wouldn't be fair if they would have never gone to apply in the first place! Also I'm not saying I was a star intern and I am the best of the best, I w0n't say what's right or wrong but I'll give tips that I found out were true. My placements gave really good feedback and invited me back but I can think of ways I could have been better and improved myself, so it's quite cool to give the tips to others. My first work experience placement was in the fashion department of a huge national daily newspaper, including a prominent Saturday magazine, and the second internship was at a fashion PR agency, which had international brands, designers and labels, some veeery appealing! I wish I could say! This meant at the newspaper they were receiving promotions and samples from brands and PR agencies, and at the PR agency they were sending them out, so I got to see things from both sides. I hope you enjoy this guide and that it is useful to you! I've got all areas planned that I can think of and will have a special question and answer post and also some interviews with other interns hopefully, but if you have any special requests, please comment them below and I'll do my best to help! An intern will join a company for a short period of time and take on a small role, usually helping others or completing day to day tasks. In Britain they're usually unpaid, so the main gain for the intern is the chance to observe existing employees and find out how the company works and progresses, the routine of their job, and how the industry works. They gain knowledge that they can take onto other positions when they apply for jobs in the future, as they will know the general practices of the work industry they are aspiring to join. Once you've completed a placement, it will grab attention on your CV and show future employers that you are capable, willing and productive. There are also opportunities for the intern to make contacts through the people they meet and possibly, if they impress their employer enough, they may want to keep the intern in their company and offer them a job. The employee benefits as their staff members will have extra help and can delegate their more mundane and time-consuming tasks to the intern while they deal with their important work load. When you take on an internship, you not only observe and gain an understanding of the work industry you have chosen, but you develop your own skills to apply to the working world. You don't come out with just a knowledge of how everything functions and what job roles entail, but your own attitudes change as you learn how to deal with a full time job, multi-task, receive direction and instruction, and meet many new people who will be living the dream, or at least living your dream! Some industries require a strict educational path and others, like fashion, are a bit more diverse. Put yourself in the shoes of your employer always, and for this example think of what you would look for in an employee. If they have already been in a similar setting for a period of time and been given responsibilities there, they require a lot less training and adjustment. They know what is expected. But if you have spent the past years in school or working in a different area, you will need time to be trained and to adjust. If you have already interned, it is highly attractive to an employer as you are already capable in many areas. You personally will be a more rounded person in the field as you have observed the actions that are appropriate and positive, and have had time to adjust and feel comfortable. It's also useful if you want a taster of the industry or the role you aspire to work in. You see the real day to day demands of an employee and get to figure out if you'd love to contribute too or if it's just not for you. And quite importantly, it's exciting! You get an inside peek into the world you'd love to dedicate your life to and meet people who inspire your studies. You may get to contribute to whatever your company is creating and you learn SO MUCH it's unreal. Even just knowing what the setting or office looks like is exciting. You'll walk away with a real sense of achievement and maybe like me, you could look at future magazine issues and say, 'I ironed that dress!'. The fashion industry is very networked and integrated as everyone uses other companies for different things. A brand will need PR agencies and manufactures and retailers to promote, create and sell products, and a magazine works with brands, retailers, and PR agencies to source stories and items. Everyone has a similar end goal: to create fashion trends that people buy into and enjoy, so people work together and create professional relationships. Once you have your foot in one door, you are exposed to hundreds of others, and so a fashion internship in one area will award you knowledge of how many different other areas work too. Should I get an internship? First you have to analyse your industry and determine what an employer looks for. Then analyse where you are right now in your studies or career. Do you already have skills that you can apply to the industry or could you do with more knowledge? Do you have experiences related to the industry or could you be more versatile? There are many other alternatives to an internship that you might want to consider first. In terms of the fashion industry, your projects and coursework may showcase your talent. You might consider applying for a graduate scheme offered by many companies, where you jump straight into a paid role. When I applied to contribute an article in the fashion section of my University paper, I assumed there would be tough competition, when in fact they were asking for people. I'd assumed almost all girls on my course would head to the fashion section straight away, but then again I suppose not everyone is interested in fashion journalism or print. When one of my employers was looking for the next intern, after one interview she noted that the girl was the fashion editor of her university newspaper and was obviously impressed. It's all well and good putting your fabulous personality into words but some employers will look for practical experiences and accomplishments. Do I need fashion qualifications? Maybe the course or subjects you study are not immediately related to fashion but you want to work in the fashion industry. A lot of the members I met didn't have a degree in fashion and had qualifications in areas like Law, English and Economics, which have transferable skills. When choosing a subject to study, especially if you are paying for it at University, make sure it's something you enjoy and something you can excel at. I was originally going to study Maths at Manchester and it already felt a little off when at the interview, everyone was in suits with their parents and I'd just explored the Northern Quarter for vintage buys to see in my eBay shop. I got my place but by about May I realised I would always have to work to keep my head above water in the subject as I'm not a maths genius but I love sums and numbers!! Give me a quadratic equation any day my friends! I knew deep down that I wouldn't get the offered grades to get onto the course and didn't want to chance on them lowering them through clearing. I changed my degree and started looking for something involved with management or finance, and really chose it on a whim. In the beginning I didn't even want to work in fashion as I didn't think there were enough jobs in the field, but over time I realised I really wanted to be part of the industry. I don't think any course will turn out to be what you expected though and you should go on your instincts and whether the department and the city feel right for you. You don't need a degree in fashion to work in the fashion industry at all, so an internship would be a good bridge into it. Don't forget you could still work in a different area that dabbles in fashion, for instance law or accounting. Do I want to work in fashion? Also ask yourself why you want to work in the fashion industry? You may think it looks like a cool industry and want to be part of it, but do you have what it takes? I'd love to be a famous pop star but I definitely cannot sing, and I'd absolutely love to be a model but I don't look like one. TV shows like The Hills make it seem like it's for everyone. To work in fashion you have to be totally forward thinking, as the industry works seasons ahead. You have to have a natural drive to find out what's cool and what people are buying and wanting, even if it's not your style. You must be confident in talking to new people and dealing with the unknown, and have a cool head in tough situations. You need to feel a drive to put things out there and give other people inspiration and incentives to view and consume fashion. You must have the want to dedicate lots of time to a full on job as there are many girls ready to put in more hours than you and go that extra mile to complete the work load. You have to have the ability to turn things out well and complete all your tasks to your best ability, along with being responsible and mature. Fashion doesn't sleep, and neither will you for a few years while you are low in the fashion food chain! There are many different jobs in fashion and if you want to work in the hub of the industry then generally you need to get experience, but you could work just outside the industry and in other areas of retailing or finance or creative arts. If you just see yourself at a well known magazine or brand, than you need to rethink because it's the glamour that is attracting you, rather than the key characteristics of the job. Do I have what it takes to be an intern? Even if you think 'yes! I'm ready to dedicate my whole young adult life to fashion! ', then do you have what it takes to be an intern? Being an intern is tough stuff. I'll go into this later but interning is very stressful and quite scary! You are thrown in at the deep end in a real life fashion setting and it's never how you imagined. You're dealing with real clients and real money and if you loose a garment or forget to send an email or address the wrong package, the repercussions are on you. Other employees have their own jobs to do rather than spending valuable time training you, so you must be a fast learner and make an effort to be precise and observant. You must have a cool head and mature attitude to given tasks. You need loads of respect for your company and must put 100% into your time there, and not have the sort of thinking where you have one late night with friends at the end of the week and show up a little worse for wear one morning. If this all sounds daunting, you just need a natural can-do attitude and realise that these jobs need to be doing; you are there to help in any way given, even if they are tiring or tedious. In the UK, generally a work experience placement will be for a few weeks and a company will set them up with government backing, whereas internships are usually more flexible. First you should consider your age and when you'd be free to dedicate time. If you're still in school, you do some work experience in Year 10 and your school will help you find your ideal place, but you also have the summer holidays. If you're at college or Uni, you may have longer holidays and fewer hours of class, so you could apply for a placement where you dedicate a few days a week or a whole holiday at Christmas or Easter. You'll really be able to give a useful amount of time and get your teeth into a place if you can give your whole summer, or a couple of months. Some courses require a year in industry for school credits and certain companies offer these, such as River Island and Debenhams. If you are applying for University courses, it may be useful to ask if a year in industry placement is available. I didn't do my internships until one year before I graduated so don't stress! You could do one after you've completed your studies or even not at all; by the looks of Facebook show-offs, girls on my course seem to have jobs lined up now they've graduated without interning. You should consider the types of job you'd like to do and whether you need experience to be the best at one. Some places train you or like qualifications, some will want to see that you know what the job entails and have developed skills already. Don't be too ambitious and imagine you'll spend a whole Christmas holiday working every hour or an entire summer long. Be realistic and put your main priorities first. I'd love to do another internship but I know I'll have to spend my Christmas and Easter holidays revising for final year exams, and they sadly take a lot of dedication. You should organise an internship when you can really put 100% into it and have time before to plan and prepare. I was back in the UK for a month before mine. It's essential to apply in as far in advance as possible. Some placements are booked up even a year in advance! I applied for mine in February but I was at an advantage because most students were doing exams in May and June, whereas I'd completed all mine over the year. I'll go into it more in another post, but you should state when you are free as clearly and accurately as possible, because you may be offered something at short notice. Where should I get an internship? I was quite open minded about my placement as there were many areas that I wanted to try out, so I started by making a list of the dream places I'd love to be at and applied to them first if possible. I then started brain storming and thinking outside the box. There's not just the ten high street shops and designers that come to your head or the magazines stocked in your local newsagents; many different companies make up the fashion industry and you need to really pinpoint what angle you like the best; marketing? forecasting? merchandising? buying? finance? law? graphics? design? manufacturing? The list is endless, so you need to figure out where your talents lie and match them up to what's out there. One major flaw in the whole plan could be where you live. Sadly, if you don't live in London, your chances of getting one outside the city are low. Most fashion companies in the UK are based in London so you could commute if you live close enough or plan to stay there for a bit. I rented a room that I found on Crashpadder (tip: zoom out of the map for more houses) for some weeks and stayed with friends also. Because my placements weren't paid, I essentially paid to be there. As I left Sweden early, I had some money that I would of spent on rent there to spend on rent in London, but don't forget you need living costs and transport costs, but luckily one of my placements paid my travel expenses. I took the gamble and paid my own money because I know I'll make it back in the future by hopefully having wider job opportunities. Also, like I said before, it was exciting and fun! I could have stayed with friends the whole time but I knew after a week of sharing beds with my mates in a student house, I wouldn't be the best worker! Unfortunately internships may be a bit elitist then, as not everyone can afford to do them. Like I said above, there are plenty of ways to get involved in fashion and demonstrate your skills otherwise. Before you apply, again don't be too ambitious with offering time or money, as it's tempting to say yes yes yes to every offer so people definitely take you on. The last thing you want to do is cancel your placement well down the line when you realise you have no where to stay or no funds, as people are relying on you and it will already give you a bad name with one company. How should I get one? One of the skills you need during an internship is to be good at researching and creating ideas, using the internet to your advantage. I had a little debate with myself on whether to actually create this guide because I never read one before my internships and I still haven't graduated and (cross fingers) got a job, so really all the people reading this will be in competition with me! It might not be wise to give a helping hand to others in the race for jobs with me but as the oldest of four and being generally productive myself, I like to give advice! So I'm not going to give a list of all the internships available and spoon feed here, as if I can find internships, you can too! There are sites that companies advertise on, and most brands will have a special section on their own sites that give information on their work experience policies. In the next post I'll give tips on your application. One thing's for sure, you need to keep applying as you might get lucky on your fifth application or your 100th. You may get replies the same day or four weeks later. It's foolish to dwell on one reply, get onto the next one! Hope that was useful! Tell me what you think and if there's anything special you'd like to see!